Frankly speaking, it’s difficult to talk about Pearl Jam‘s last work cause I’m a follower since the early times and they are the last pillar of grunge music and a band with 20 years of admirable production, ever on top level. Having said that, let me share my opinion about their last release Lightning Bolt starting from the early steps. We already know that Lightning Bolt should be the album of the revenge where Pearl Jam comes back to the origin, no more fun, well not only fun, like for the previous issue Backspacer. Now it’s time for giving space and voice to anger, to spread the voice of an hearted love and for offering a reliable point of view of the life through the lens of a concrete and honest rock band that has walked through many roads to get an indisputable credibility. Since the beginning – with Gateway, the first single Mind Your Manners and My Father’s Son – the anger and the rebellion shout loud, just to remember the origin of everything. And soon comes the power ballad Sirens which is a breakthrough in the whole album breaking the wall of sound to step into the big emotion: “… nothing lasts forever, I didn’t care, before you were here…” Vedder sings the mature and sensitive role of love into rock’n’roll life. Becoming adults things change, love salvation is a fragile thing. Going ahead, with the title track Lightning Bolt, then Infallible and Pendulum the sound is more round and in certain moments, especially in Pendulum, it’s an intense surprise to me to re-taste sounds and structure from one of my favorite PJ’s album Binaural with a new and fresh flavor. The blues of Let The Records Play is great enough to be considered made by a pure blues band. Remarkable. And going over, Vedder’s ukulele in the ironic Sleeping By Myself is a refund friend that introduces to the last part of the album, to Yellow Moon and the choral Future Days where all the band shares a undeniable point of view: no recipes in the life, just stick together. 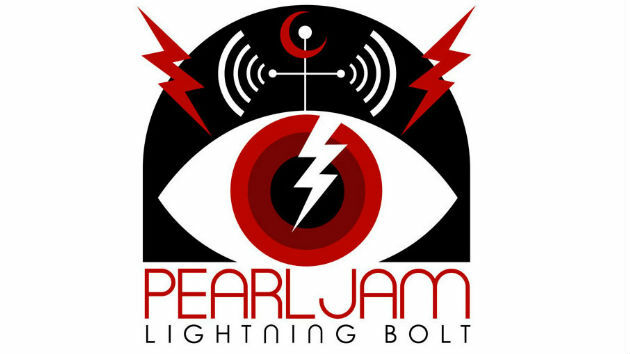 Finally in my opinion, Lightning Bolt is one of the best Pearl Jam’s album thanks to Ed Vedder & Co’s ability to create a sincere connection with the listener and all fans through two decades of honest and credible songwriting and healthy ron’n’roll.